I don’t understand how a man who may have the record for knocking on the most doors in a Pennsylvania election* can choose to ignore an NRA questionnaire when he’s a Republican running in a district with lots of working class or union middle class Democrats that borders two districts with huge gun clubs and in an area that supports lots of gun shops and even some commercial ranges. Kevin Glasson did not respond to any of NRA’s mailings. This landed him with a big ? next to his name and resulted in no assistance from NRA in the way of a postcard mailer. He lives right next to a district where the now incumbent state rep – who ran a similar uphill campaign in 2008 – actually ran into a man who brought his NRA magazine out of the voting booth and declared that no one with a ? gets his vote. *He personally knocked on 13,000+ doors, so he’s definitely got the man of the people thing going for him. He’s a firefighter in the community. That’s always a good thing in a race like this. We already know that Democrats in the area were angry and more than happy to vote against their party. It was such a dramatic turnaround that even the NYT covered the shift. He only lost by 301 votes. Challengers benefit the most from NRA backing. Of all the types of Democratic demographics in this area (NJ transplants, rich liberals, working class guys, union diehards, etc), his district probably has the most of the type who would be willing to cross over on something like the gun issue. By refusing to respond to NRA’s questionnaire, he didn’t even give them a choice between the two candidates. Yes, this election is all about the economy and jobs, but there are still folks looking for information on other issues. I had at least half a dozen union guys out of Philly and our district call me to tell me they would vote against their union this year and go all GOP. They just wanted to make sure their Republican choices were all pro-gun. I have to believe there were many more waiting on their NRA magazines to drop to find out about their local races in that district. Just imagine what the reaction might have been if it turns out he was actually pro-gun and received an endorsement and orange postcard. I wouldn’t be shocked if he could have found the 302 votes he needed that way. If Glasson had won, it would have been nearly impossible to hold the seat through the next few election cycles. However, he would have been in for redistricting votes and hopefully to help us move Castle Doctrine along. I don’t want to pretend that the NRA endorsement is the magic bullet that will solve all of your election woes. But, in a county where about 20,000 people have licenses to carry, it’s not unreasonable that 300 votes could have been swayed by an NRA grade. But, that’s what you get with our local GOP folks. This isn’t the first year that Republicans have refused to even communicate with NRA, and it won’t be the last. If they are smart, they’ll learn. But I’m not sure I give them that much credit. I don’t doubt that people running for office may have their mail screened by campaign managers or even campaign workers who even if the candidate is pro-2A, they may not be. Or, it could be they have convinced the candidate that being too pro-2A will be polarizing to the electoate. When looking at the Congressional results in North Carolina, I think it may (and that’s as far as I’ll go) have helped Renee Ellmers. Of the 4 Republicans facing a vulnerable Democrat, she was the only one to get the NRA endorsement even if it came in late October. The Democrat got the endorsement in NC-7, 8, and 11. She was the only one to win on Tuesday and she faced a 7-term incumbent with a D rating. It may have been just the little margin she needed. Of course, the existence of YouTube didn’t hurt her chances either! You can’t ever say with 100% certainty whether an endorsement helped or not. Take away any single interest group, and you would lose enough votes to have made a difference in any given close election. So every endorsement matters, but not every one technically threw the candidate over the top. In this case, statistically speaking, it is highly likely that it made a difference. As compared to the role of YouTube, well, I’d classify that incident as what made her campaign a serious one in the first place! And, for the record, pretty much every endorsement came in late October. 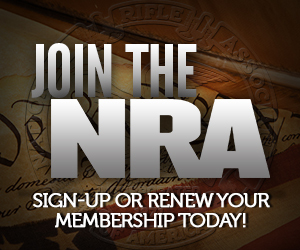 It’s the timing that works best for NRA’s membership. It goes out in the last magazine they get before they head to the polls, and postcards go out so that people can keep them on hand when they go vote. Back to the certainty issue. We know that NRA endorsements do bring in votes. What will cement it in the minds of candidates is whether or not NRA members show up to help out or give money. The fact that most of our candidates actually saw us sailing through call sheets, getting ready to knock on doors, or saw us at fundraisers made a difference. And I can’t tell you what an impression it has made on GOP volunteers when I say that I’m not out there because the candidate is a Republican, but because the candidate is pro-gun. We’re actually somewhat confident that one of my “take a stand” moments with a longtime GOP activist in 2008 gave us another endorsement to support this year. Word appears to have gotten back that the candidate was losing support because of the gun issue. Now all is good, and we’re happy to report things turned out well in that race this year. I should clarify a bit on Renee Ellmers. She was not endorsed by the NRA-PVF at the same time as most of the other NC candidates who were endorsed. The endorsement for her was announced much later and may have been due to an active campaign by her supporters contacting the NRA to ask why there wasn’t an endorsement. As it is, the timing was good and the NRA did come through with their endorsement.